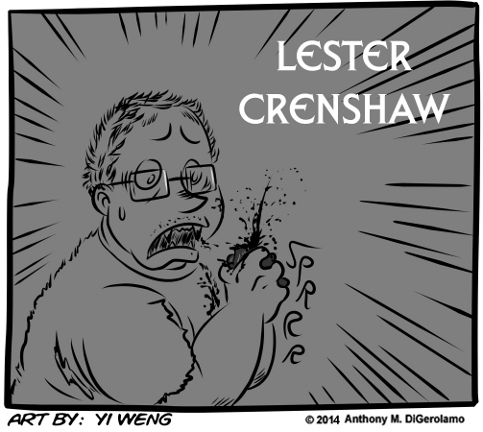 Description: Lester Crenshaw is a comic book geek and failed comedy writer. Stuck living the basement of his father and stepmother’s house, Lester tried his best to keep his social life away from where he lived. During an online date, he was lured into Philadelphia by a vampire. Subsequently, he was somehow turned and managed to escape back home to South Jersey until he was discovered by his sister, Dawn. Lester is a terrible vampire and needs a tremendous amount of help. His vampire “secret” is one of the worst kept.